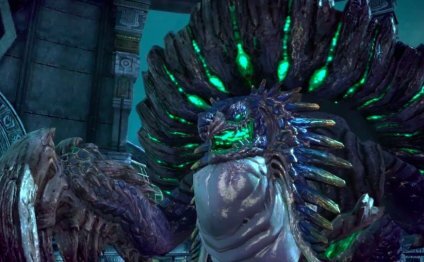 – Gameforge and developers Bluehole will release the next big update to the action MMORPG TERA: Fate of Arun in mid-December. The patch will introduce a new melee class in the form of the Brawler, plus two new end-game dungeons offering an additional challenge for level 65 players. In addition, all players who log into the game between 11th December and 27th December 2015 will receive a free character slot expansion and the majestic Snow Tiger as a permanent mount. The Brawler, a class which can deal as much damage as she takes, is exclusively available to human females. Equipped with heavy armour and armed with massive powerfists, the Brawler batters approaching enemies under a flurry of blows. Powerful uppercuts and mighty haymakers are the trademark of this front-lines combatant, who is always to be found in the middle of the action. More information can be found at . New end-game dungeons will also become available for brave level 65 players. On Kalivan’s Dreadnaught, adventurers must carve a path through the naga pirate ship and unleash havoc on the ship’s crew. A raging storm provides a fitting backdrop as the heroes battle their way past powerful BAMs, before forcing their leader Kalivan to walk the plank. From the voyage on the high seas, the journey then continues to the second dungeon on the Forsaken Isle, a land haunted by souls and evil spirits. The source of this malefaction is Desolarus, erstwhile ruler of the island kingdom, who sold his people to sinister demons for his own ends. Sentenced to death after a bloody uprising, he cursed the survivors with his final breath, forcing them to forever roam over the island kingdom as the undead. Players wishing to take on the challenge of this dungeon should kit themselves out on Kalivan’s Dreadnaught first.